Gary W. Goldstein is a highly sought-after speaker, consultant, author, award-winning Hollywood film producer, and the President of The Goldstein Company, a film and television Production Company based in Los Angeles. Prior to becoming a film producer, Gary was a lawyer in San Francisco and then ran his own literary and talent management firm in Los Angeles, representing writers, actors, and directors. He’s been instrumental in the success of many of Hollywood’s biggest box-office hits. His films have generated over a billion dollars in worldwide revenue and received numerous Academy Award nominations, People’s Choice Awards, a Golden Globe, and various other awards and nominations. Gary’s films include the critically acclaimed Pretty Woman starring Julia Roberts and Richard Gere (which went on to be one of Disney’s highest grossing live-action films). Another of his film successes, Under Siege (Warner Bros.), starring Tommy Lee Jones and Steven Seagal, was followed by Under Siege 2: In Dark Territory. Also included is the much heralded adaptation of The Mothman Prophecies (Lakeshore Entertainment and Sony), starring Richard Gere and Laura Linney, which also helped to earn Gary a respected reputation within the ranks of Hollywood. In his new book, Conquering Hollywood: A Screenwriter’s Blueprint for Career Success (Big Picture Press 2013) Gary shares his unique, simple, and proven strategies for building a solid and long-lasting screenwriting career, while also raising it to a higher level of success. Whenever you get in the driver’s seat to go somewhere, you usually know where you’re headed, why you want to go, and how you’ll get there, before taking the necessary actions of shifting into gear and venturing out towards your desired destination. Being in the driver’s seat of your writing career is no different as Gary will demonstrate before sending you on your way for a journey filled with more meaning, results, and satisfaction. You will learn the importance of the relationships you foster through networking as he gives numerous examples from his own experiences, which include how he built rapport with one creative executive (assistant) who one day paved the way to Steven Spielberg. Gary devotes an entire chapter to assistants, the true gate keepers with the golden keys to open all the right doors; they’re your true allies, career partners, and collaborators. You’ll gain the benefits that come from effective marketing, by knowing three simple things about yourself. He also helps you sharpen your marketing tools such as loglines, query letters, pitches, leave behinds, and table readings. He shows you how to create and work with your Top 100 List (your magnetic north), so you can point your career in the right direction and D.O. List, so you can accelerate your progress. With the mind-set and experience of a lawyer, he briefs you on some very important insider tips to keep you smart, legal, and protected. 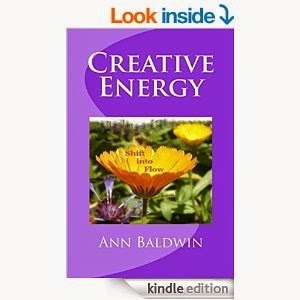 His natural charisma, gift for understanding human nature, and passionate desire to help you succeed will connect you with your best inner-self that wants and deserves to shine. Having the essential tools found in Conquering Hollywood is like having a powerful lighthouse of insightful, valuable, and useful knowledge that guides the way as you master the control deck of your ship-of-dreams and cruise to your ultimate landing-place. I highly recommend Conquering Hollywood for all screenwriters with a true passion for building a worthy and rewarding career. 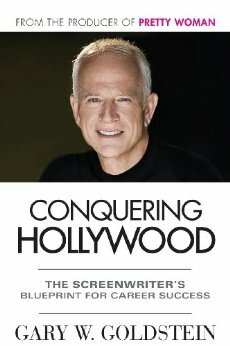 To connect with Gary W. Goldstein you can visit his website at http://conqueringhollywood.com and purchase a copy of Conquering Hollywood at Amazon.